The former reality star was awarded the degree from Trinity International University of Ambassadors. 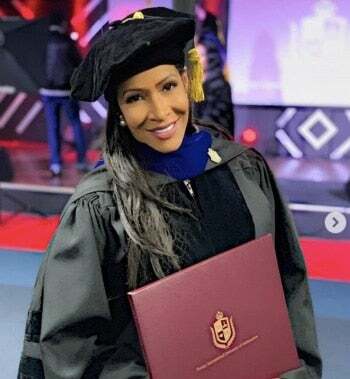 Former Real Housewives of Atlanta star Sheree Whitfield can now call herself Dr. Whitfield. She announced on Instagram this past Sunday that she had received an honorary degree of human letters from Trinity International University of Ambassadors in Flowery Branch, Georgia. “Such an amazing and humbling day today receiving an Honorary Doctorate of Humane Letters! !” she captioned the post, which featured a photo of her in a graduation robe, holding her degree. It’s been a season of wins for Whitfield, who announced in October that her clothing line, She by Shereé, is back after years in hiatus.